Reza Madadi (14-6) stepped in on short notice to face Brazilian fighter Joaquim Silva (10-1) at UFC Stockholm. 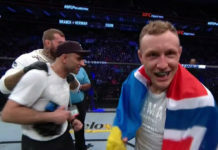 After a grueling three round battle, the Swede came up empty handed, dropping a split decision to the Brazilian rising star. The first round began with a charged game of cat and mouse, until Madadi utilized his trademark aggressive wrestling to get the fight to the ground. Silva stayed active, threatening with submissions and striking with elbows from the bottom. Madadi, however, smothered the Brazilian jiu jitsu black belt with exceptional pressure. The second round saw Madadi land hard shots early to set up takedown attempts, but he was unable to secure any meaningful wrestling offense throughout the stanza. The Brazilian, Silva, utilized vicious Muay Thai to rock the Swede, and Madadi responded with hard shots of his own to keep the fight exciting and competitive. Madadi, however, spent a majority of the match backing up, and against the cage. By the end of the second round, Madadi looked visibly weary. The final round saw The Mad Dog’s chin and heart tested early, as he was backed to the fence, and unloaded on by Silva. Madadi weathered the storm, and took his opponent down, fending off a guillotine attempt, and using his powerful wrestling to retain top position for a solid third of the round. After a scramble, Silva managed to take the back of the Swede, but Madadi’s grit and determination allowed him to escape. 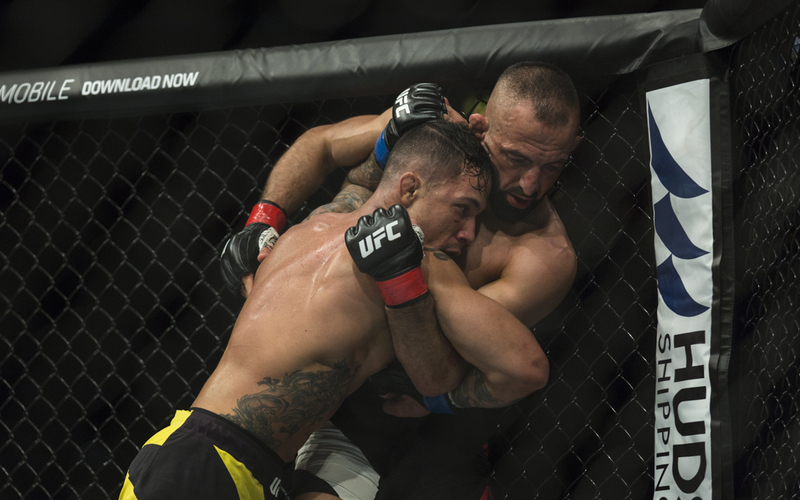 Silva, however, refused to be denied, and spent the remaining minute applying pressure and strikes, both from atop the Swede, and against the cage. After a grueling three round war (truly, the story of Madadi’s career), he unfortunately came up empty handed in what many suspect to be his retirement bout. The split decision was in favor of the Brazilian 29-28, 28-29, and 29-28.